As x-webkit-speech attribute works only for input box, learn how to add a speech input microphone / mic / mike icon in a TEXTAREA element. I published article earlier in the day about how to add the mic icon in an input box. But adding this mic icon in a TEXTAREA is not allowed. The HTML5 specifications of W3C allow user to enter text in input box element through speech recognition. This facility, at present is supported by the browsers implementing webkit. These browsers include Chrome, Opera and Safari. 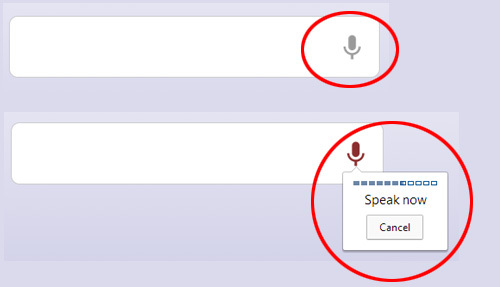 If you add x-webkit-speech attribute to an input box; a microphone / mic / mike icon appears in the input box. Clicking on this icon activates voice recognition. You got the trick? We will accept speech input in the usual input box, and then, once the speech input is recognized and converted into text, we will transfer text from input to TEXTAREA. Key in this idea is the onwebkitspeechchange event that takes place when there is a change in x-webkit-speech enabled input box (i.e. when you speak and text gets converted into text in the input box). It was PHPied that published this idea originally. Please feel free to let me know if you have any questions about this topic. I will be happy to try and help you. Thank you for using TechWelkin. it is not working on Ubuntu. Kindly suggest html code that works on ubuntu firefox or chrome.